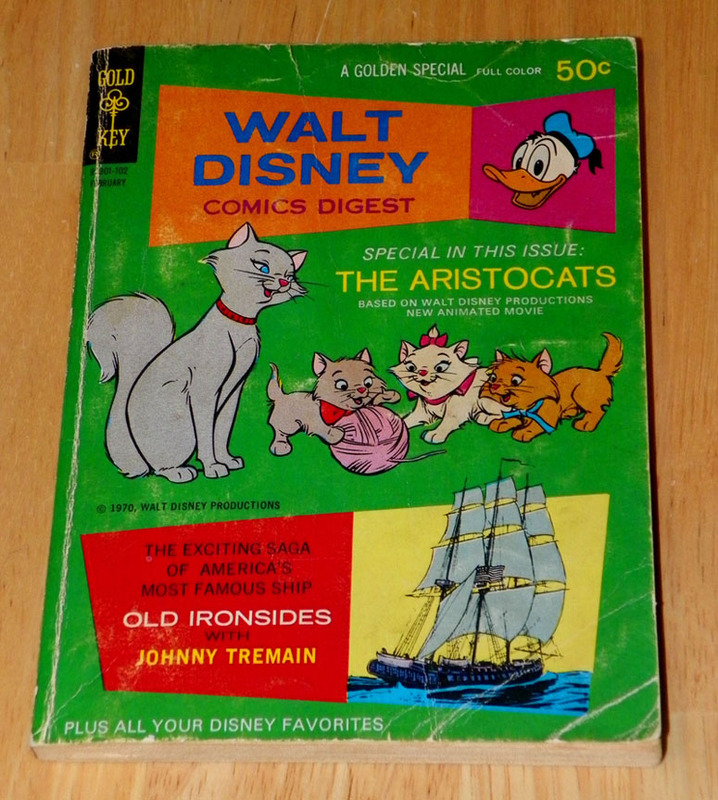 Walt Disney's Comics Digest #27 Dated February 1971. 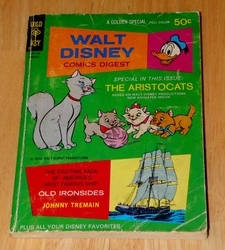 Specials in this issue includes the Aristocats, based on Walt Disney Productions new (new at that time) animated movie. It also includes the exciting saga of Old Ironsides with Johnny Tremain. 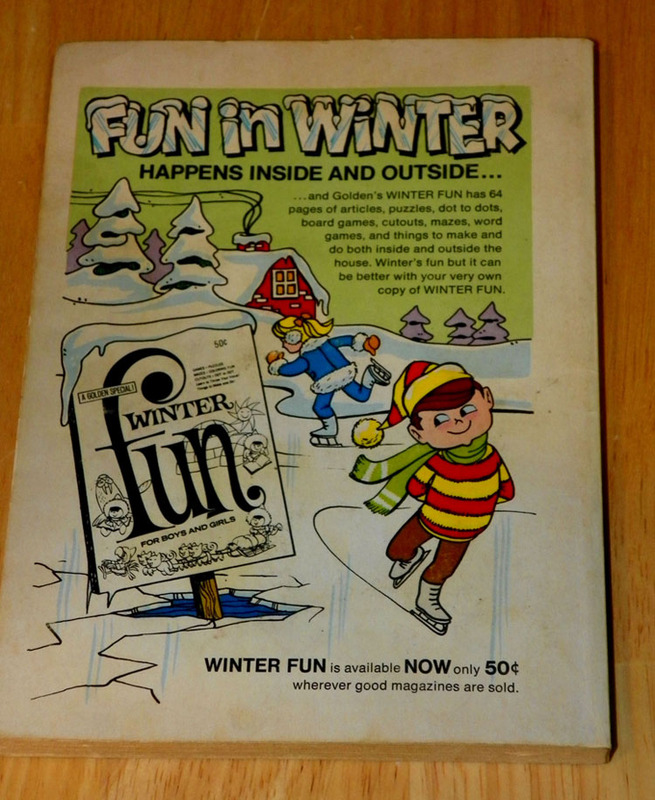 What a great little comic book a gold key trademark in full cover. This book is in very good condition, with some minor folds in cover and there is yellowing to pages. Binding is intact.